Hi - a couple cool new items just added to the site. Look for our Dark Energon preorders to go live late tonight! Following the great response of The Dark Knight Rises movie and our movie-accurate collectibles, Hot Toys is proud to present the highly anticipated female character - the 1/6th scale Selina Kyle/ Catwoman Collectible Figure from this movie. The collectible is specially crafted based on the image of Anne Hathaway as the prominent character Selina Kyle/ Catwoman, highlighting the movie-accurate head sculpt, hair implantation, highly detailed costume and accessories. 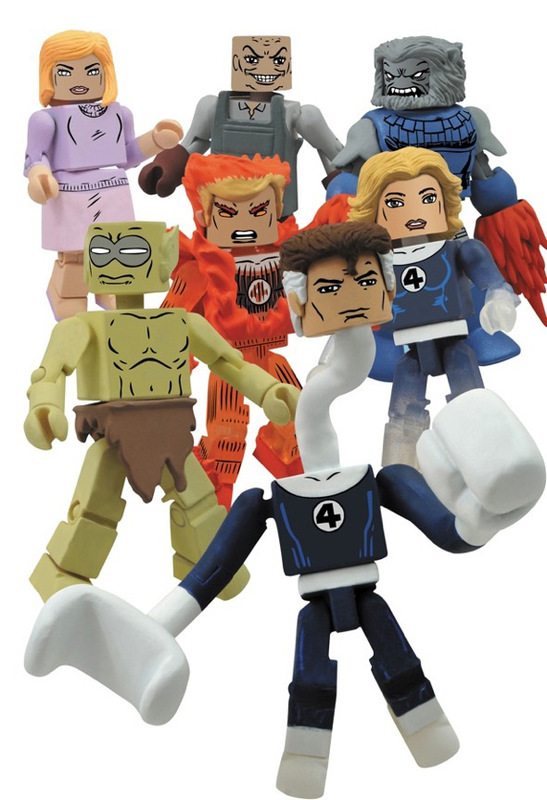 The Fantastic Four are the Foundation of Marvel Minimates Series 48! August 2012 - With fallen Fantastic Four member the Human Torch recently discovered alive and relatively well in the Negative Zone, Diamond Select Toys has decided to celebrate by making Marvel Minimates Series 48 their most fantastic assortment yet! Available only at comic shops and specialty stores, this series will feature three two-packs, plus one rare variant two-pack that will only be available one per case. With core FF members, old villains and a key supporting character, this will be one series of Minimates no FF fan should miss! Team leader Reed Richards comes with an classic FF foe, the conveniently named Phillip Masters. Wearing his John Byrne-designed uniform, Mr. Fantastic will sport a new stretching fist and a grabbing arm. Meanwhile, Masters will come with his distinctive apron... as well as miniscule Minimate puppets that he can manipulate, to control the actions of his foes! 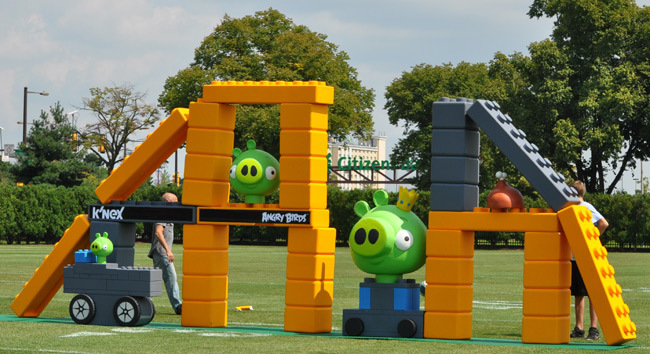 K'NEX® & Philadelphia Eagles Build Giant Angry Birds™ Set! Visit Love Park in Philadelphia, September 4th, for your chance to Knock It Down! Hatfield, PA – August 2012 – K'NEX Brands, the only US construction toy company focused on Building Worlds Kids Love™, has teamed up with the Philadelphia Eagles in celebration of their mutual partnerships with Rovio and Angry Birds, and, together have created a giant-size version of the K'NEX Angry Birds Hammin' Around building set! 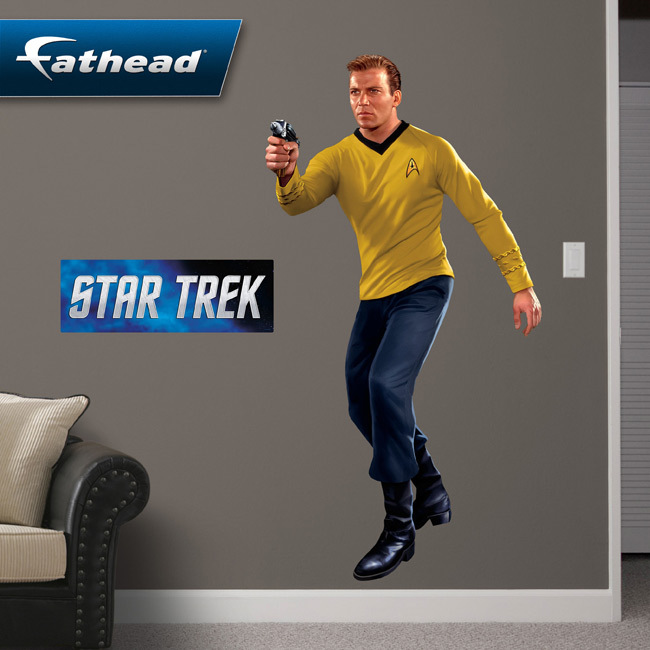 DETROIT, Aug. 29, 2012 -- Fathead, the leading brand of officially licensed sports and entertainment wall graphics, releases The Star Trek Fathead Collection. The initial collection will feature twelve wall graphics comprised of REAL.BIG. die-cut and mural images. The striking likenesses were adapted from the iconic science-fiction franchise created by Gene Roddenberry and will include initial images from Star Trek: The Original Series and Star Trek: The Next Generation. K'NEX T-REX is made from 160,000 K'NEX pieces and is over 12 feet tall! 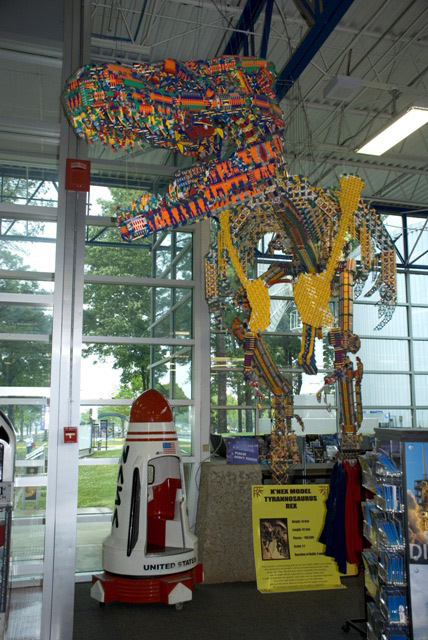 Hatfield, PA, August, 2012 – K'NEX, the only U.S. construction toy company focused on Building Worlds Kids Love®, is pleased to announce that the U.S. Space & Rocket Center is home to the largest K'NEX sculpture - a life size T-REX, affectionately named K'REX! Located in Huntsville, Alabama, the U.S. Space & Rocket Center is home to Space Camp and Aviation Challenge and is one of the most comprehensive U.S. manned space flight hardware museums in the world. Working during their time off last summer, Space Camp crew trainers - headed by Wesley Smalls and Jarrad Bedwell - built the sculpture to replicate the recast of a Tyrannosaurus Rex skeleton featured in the center's summer exhibit: "A T-REX named Sue." August 30, 2012: ICv2 has announced that it will host the ICv2 Conference on Comics & Digital II at New York Comic Con, a special half day event where executives and thought leaders from the comics and digital realms will discuss the accelerating changes that are impacting the customers, the medium, and the business of comics and graphic novels. "Digital comics is one of the destabilizing forces that are transforming comics and graphic novels, but it's certainly not the only one," ICv2 President Milton Griepp said. "Whether it's the rapid changes in retail and libraries, in who the customer is, in how the business works, or in the art form of comics, it's tough to find an aspect of the comics and graphic novel world that isn't evolving rapidly. We thought it was important to offer an event that helps the industry adapt to those destabilizing forces at this critical juncture." WIZKIDS/NECA, LLC OBTAINS CONSENT PERMANENT INJUNCTION AGAINST TREE HOUSE KIDS, INC.
Hillside, NJ - August 30, 2012 - National Entertainment Collectibles Association Inc. (NECA) is pleased to announce the entry of a Consent Permanent Injunction in a trademark infringement lawsuit against Tree House Kids, Inc. In the lawsuit, NECA's subsidiary WizKids/NECA, LLC (WizKids) alleges that use of the trademark HEROICS by Tree House Kids in connection with the sale of miniature super hero figures infringes WizKids' rights in its HEROCLIX trademark. On August 8, 2012, the U.S. District Court for the District of New Jersey issued the Consent Permanent Injunction against Tree House Kids, permanently prohibiting Tree House Kids from, among other things, making, using, distributing, selling, displaying, manufacturing, advertising or promoting, products, product packaging, or labeling that use, incorporate or display the trademarks HEROCLIX or HEROICS, or any other trademarks likely to cause confusion with the HEROCLIX trademark. August 30, 2012 - Listed below are the toy (and child-related) recalls from this week; these links go to the official announcements on the Consumer Product Safety Commission web site. Hot Toys will be releasing a new version of Wolverine, this time based on his appearance in "X-Men: The Last Stand". It comes with alternate hands, a light-up display base and much more, and is listed at $214.99, saving you $20 off of the MSRP. Takara follows up Hasbro's Generations line with their own set of releases! Look for figures to come with slightly different paint applications as well as possible chrome parts. We do not have any images of Takara product yet, but will update the site when they become available.